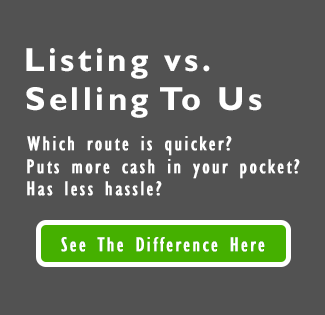 We Buy Homes Quickly All Around Destin. We Will Give You A Fair Cash Offer For Your House. And You Can Choose The Closing Date. If you are serious about selling your Destin house, we’re serious about buying it. We have cash ready so you can get a fair, all-cash offer. Check out how our house buying process works. Your property does not have to be a frustration for you. When you let us buy your FL house, you’ll be walking away with cash instead of stress. Imagine how you will feel walking away from closing as soon as next week, with money in your pocket? Sell My House Fast In Destin, FL. If your entire home looks like it was just remodeled, then a traditional real estate agent may be able to sell it in less than 3 months. But if your house does not look brand new, then it will usually take an agent much longer to sell it. And much longer could be 6 months, 9 months, 12 months…or never. We will not ask you to do any work or pay a contractor to do anything. You won’t have to spend anymore money or time on your house to get it sold. We will give you a fair offer on your house, exactly as it is right now. Then we can go over the pro’s and con’s of selling your house directly to us today. We will answer the same questions: How much will it cost? What are the typical closing costs? We work differently at Gulf Coast Home Buyers, compared to the other ways of selling your property. You see, we’ll give you something that you can’t get anywhere else. When you call us or fill out the short form below, we’ll give you a fair offer for your Destin house within 24 hours – that includes paying with cash. Another way that we work differently than using an agent is we will not ask you to make repairs, paint, or pay someone to do those things. We have a team that will repair and clean after the closing so you don’t have to. No agent will make that commitment to you like we will. Another difference is that we’ll buy your house if you live in it, if you have tenants, or if it’s vacant. That’s flexibility that you won’t find with an agent. Our goal is to help you get out of a tough situation. The stress you feel about your house will be turned into relief after we buy it. Have you found yourself in a tough spot lately? We buy houses from people who are behind on payments, have inherited a house, need to relocate, are facing foreclosure, and many other reasons. Yes, we buy houses in Destin for a fair price. We understand that you may have run into some tough struggles and need to sell my house fast. We work hard to give people a fair offer for their property. If you have a property that has become a hassle to own, then let us give you a fair, all-cash offer to buy it. You can bypass the long waiting time that comes with listing it with a real estate sales agent. And we buy houses “As-Is” so you won’t have to do any repairs. You can talk to someone at our office by calling +1 (850) 396-0037.